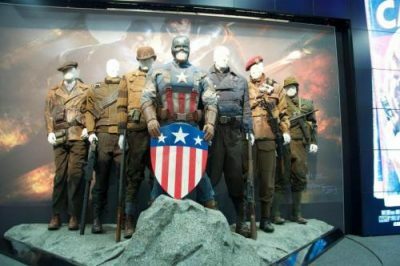 Is the US Government Developing Real-Life Supersoldier, Wonder-Dog in New Research Program? This won’t be the first such program to enhance the US military’s assets. In 2017, DARPA (Defense Advanced Research Projects Agency) announced a plethora of plans to create an elite fighting force. Another DARPA program aims to give super-human sight to soldiers. The Soldier Centric Imaging via Computational Cameras (SCENICC) program is attempting to create a small contact lens which would improve fighters vision tenfold. They’re also working on exoskeletons, such as the XOS2 – currently being developed in conjunction Raytheon – which could make soldiers up to 17 times stronger. Apparently battery technology is the limiting factor for now. Researchers tested the potential ballistic protection of graphene by firing tiny bullets of gold at it. They found that the material was stronger, more flexible, and lighter than both the ballistic plates and the Kevlar vests troops wear. And, a million layers of the stuff would be only 1 millimeter thick. MIT’s Institute for Soldier Nanotechnologies is working on an effective manufacturing method for graphene-based chainmail, potentially giving troops better protection from a T-shirt than they currently get from bulky vests. Synthetic blood would be much more efficient than natural cells. The most promising technology being investigated is a respirocyte, a theoretical red blood cell made from diamonds that could contain gasses at pressures of nearly 15,000 psi and exchange carbon dioxide and oxygen the same way real blood cells do. Super soldiers with respirocytes mixed with their natural blood would essentially have trillions of miniature air tanks inside their body, meaning they would never run out of breath and could spend hours underwater without other equipment. Scientists at MIT and other research universities are looking for ways to augment the human ankle and Achilles tendon with bionic boots that mimic kangaroo tendons. Humans equipped with such boots would be able to leap seven feet or more, sprint at inhuman speeds, and run all day without wearing out their muscles. DARPA’s Persistence in Combat initiative aims to help soldiers bounce back almost immediately from wounds. Pain immunizations would work for 30 days and eliminate the inflammation that causes lasting agony after an injury. So, soldiers could feel the initial burst of anguish from a bullet strike, but the pain would fade in seconds. The soldiers could treat themselves and keep fighting until medically evacuated. Not all animals sleep the same way. DARPA wants to find a way to let humans sleep with only half of their brain at a time like whales and dolphins or possibly even skip sleep for long periods of time like ENU mice, a genetically-engineered species of mouse, do. Part of DARPA’s “Brain Machine Interface” project is the development of better computer chips that can directly connect to a human brain via implants. In addition to allowing soldiers to control robotics with thought alone, this would allow squads to communicate via telepathy. While the chips are already improving, the project has some detractors. One offshoot of the research is the ability to remote control mice via implanted chips, and some defense scientists worry about the risk of troops having their minds hacked. While the Harvard researchers working on it prefer the term “soft exoskeleton,” the DARPA-funded robotic suit is essentially a series of fabric muscles worn under the clothes that assist the wearer in each step or movement. This reduces fatigue and increases strength without requiring the huge amounts of power that bulkier, rigid exoskeletons need. Geckos use tiny hairs on their feet to grab onto surfaces on the molecular level. While the “Z-Man” project wouldn’t necessarily give humans the ability to crawl along a ceiling like a gecko, special climbing gloves and shoes would allow soldiers to easily climb sheer rock faces or up skyscrapers without any other equipment, drastically easing an assault on the high ground.